I don’t know how to tell you. Not a soul in the world knows how to tell you. Helen. Helen… Yes, what’s it to me? They’re satisfied. Give them their child and dog back, housebroken, everyone’s satisfied. But me, and you. Reach. Reach! I wanted to teach you- oh, everything the earth is full of, Helen. Everything on it that’s ours for a wink and it’s gone, and what we are on it, the - light we bring to it and leave behind in words. Why, you can see five thousand years back in a light of words. Everything we feel, think, know and share, in words, so not a soul is in darkness or done with, even in the grave. And I know, I know, one word and I can put the world in your hands. And whatever it is to me, I won’t take less! Gibson, William. 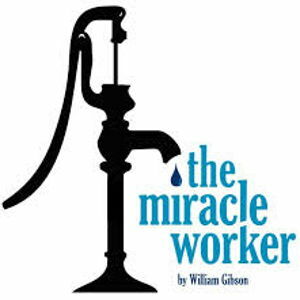 The Miracle Worker. Scribner, New York, NY. 2008. pp. 94.95.